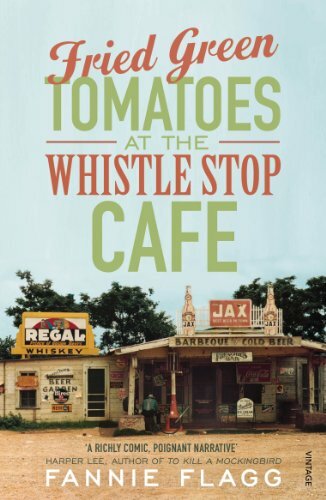 From the back: "As eighty-year old Mrs Cleo Threadgoode tells Evelyn Couch about her life, she excapes the Rose Terrace Nursing Home and returns in her mind to Whistle Shop, Alabama in the thirties where the Whistle Stop Cafe provides good barbecue, good coffee, love and even an occasional murder." This did not even make it to the meeting. I confiscated it from the stack Qimp brought with her, on the way there. This should be a good read. I finished it in just a few days. It was a good read, although it seems to have been written for the film that was made of it, as this was a visual story with interesting flashbacks. I do wonder what fried green tomatoes taste like, I am quite curious. Ergens op een makkelijk vindbare plek in het hotel. Misschien is er wel een open haard (néé, niet erín natuurlijk, erbíj) en anders een lounge.